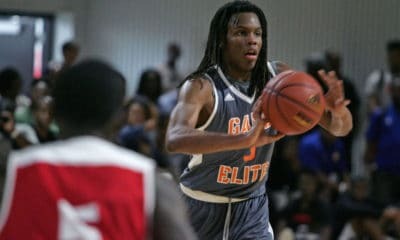 AUBURN, Ala. – Two Bulldogs scored in double digits, and Kenny Gaines marked a successful return from injury, but the Georgia Bulldogs were unable to overturn an early Auburn lead and fell to the Tigers 74-67 at the Auburn Arena on Saturday afternoon. With the loss, Georgia now sits at 10-10 overall and 4-4 in conference play. The loss was the Bulldogs’ third straight against SEC opposition. The matchup was a physical encounter as both teams combined for 44 fouls and 62 free throws on the afternoon. Georgia shot 19-28 (68 percent) from the line while Auburn drained 27-34 (79 percent). Auburn shot 40 percent from the field in the first half and drained four three-pointers to post a 33-25 lead over Georgia going into the break. 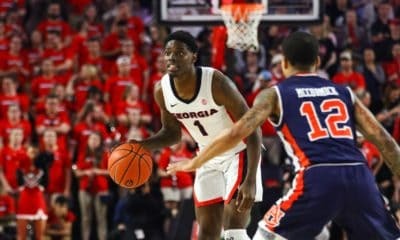 The Bulldogs were plagued by 10 turnovers in the opening period as the Auburn defense held Georgia’s offense below 30 first half points for the third straight game. 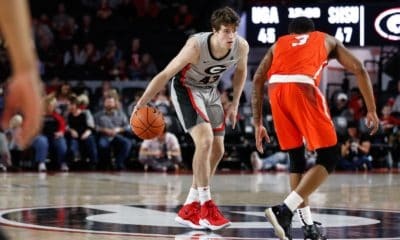 Redshirt freshman Houston Kessler – making his first career start for the Bulldogs – gave Georgia its only lead of the game with a three-pointer in the opening minute, but the Tigers used a 5-0 run to retake a lead they never relinquished. A J.J. Frazier three-pointer cut the Auburn lead to two with 5:43 remaining in the game but the Bulldogs were unable close the gap any further as they slumped to a third straight defeat. Charles Mann led Georgia in points for the second game running, posting 18 to go along with three rebounds and a team-high four assists. Nemanja Djurisic was second on the team with 11 points and a team-high six rebounds, while Kenny Gaines returned to action to score nine points. Auburn was led by Chris Denson’s 18-point effort as all five of the Tigers’ starters scored in double digits. The win was just the Tigers’ second SEC victory of the season. Georgia will continue its conference slate with a home game against LSU (13-6, 4-3) on Thursday. Tip-off is scheduled for 7 p.m. ET and will be televised on ESPN 2. · Georgia’s starting lineup was Marcus Thornton (46th career start), Brandon Morris (31st), Charles Mann (26th), Kenny Gaines (18th), and Houston Kessler (1st). · Kenny Gaines returned from injury after a two-game layoff (last played vs. South Carolina on 1/22/14) and scored 9 points in 33 minutes of action. · Houston Kessler earned a first career start and notched the first points of his Bulldog tenure with a three-pointer in the first half. Kessler finished with 3 points, a career high. 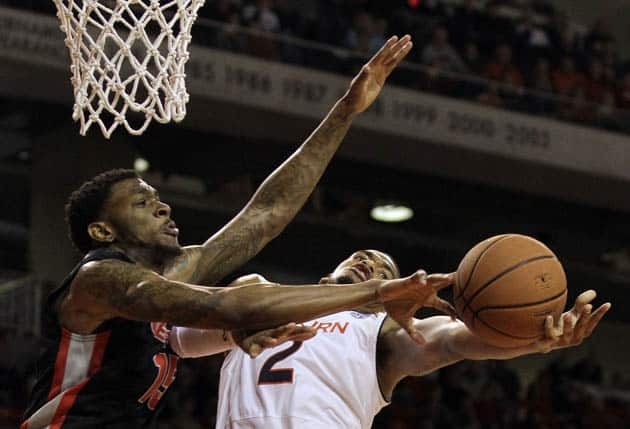 · The loss is Georgia’s third in a row when winning the rebounding battle. In SEC play, the Bulldogs are yet to have fewer rebounds than an opponent. · Georgia still narrowly leads Auburn in the all-time series, 90-89. · Georgia hosts LSU in Stegeman Coliseum on Thursday at 7 p.m.
· The game will be televised on ESPN2. 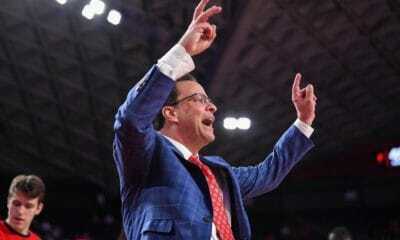 · LSU leads the all-time series, 62-42.